Coconut water has become big business in the United States. All of a sudden people are calling it “nature’s Gatorade” and talking about it’s amazing restorative powers. Cocktail blogs are posting recipes for coconut water newbies, talking about this delicious new chaser that’s actually good for you. Ask anyone from the islands and they’ll tell you – y’all are WAY behind. Coconut water has been a staple in cultures around the world FOREVER, for exactly these reasons! This is how I grew up drinking coconut water in Trinidad – vendors around the Savannah and in parts of downtown Port of Spain sell cold coconut water, fresh from the nut. And it is DELICIOUS. If you ever visit Trinidad, it’s a must. Stop for coconut water, drink it, and then ask the vendor to cut it open so you can enjoy the coconut jelly inside. So good, and so good for you! Coconut water is a staple back at home. If you’re sick and dehydrated, Caribbean doctors will recommend you drink it. And the official drink of Trinidadian men as long as I’ve been able to remember, is Johnny Walker Black and coconut water. Ask my dad! If you’re not a fan of scotch, no worries. Coconut water also mixes well with rum – one of the most decadent and delicious cocktails I ever had was the Coco Loco served at the Excellence Resort in Punta Cana – coconut rum, coconut water, and coconut milk, blended and served in a coconut. SO amazing. You can also make a killer pina colada, by adding a splash of coconut water to your pineapple juice and coconut cream mix. Unfortunately, here in Chicago the coconut water I buy is expensive and sold in little cartons at expensive grocery stores. And I’ve come to learn, not all coconut waters are equal. Price and flavor can vary wildly. Maybe you’re interested in drinking coconut water for it’s health boosting properties. Maybe you’re dying to try one of those cocktails I just mentioned. As a born-and-raised island girl who yearns for the real thing, let me tell you which varieties of coconut water are worth buying at your local grocery store. Zico Pure Premium Coconut Water . 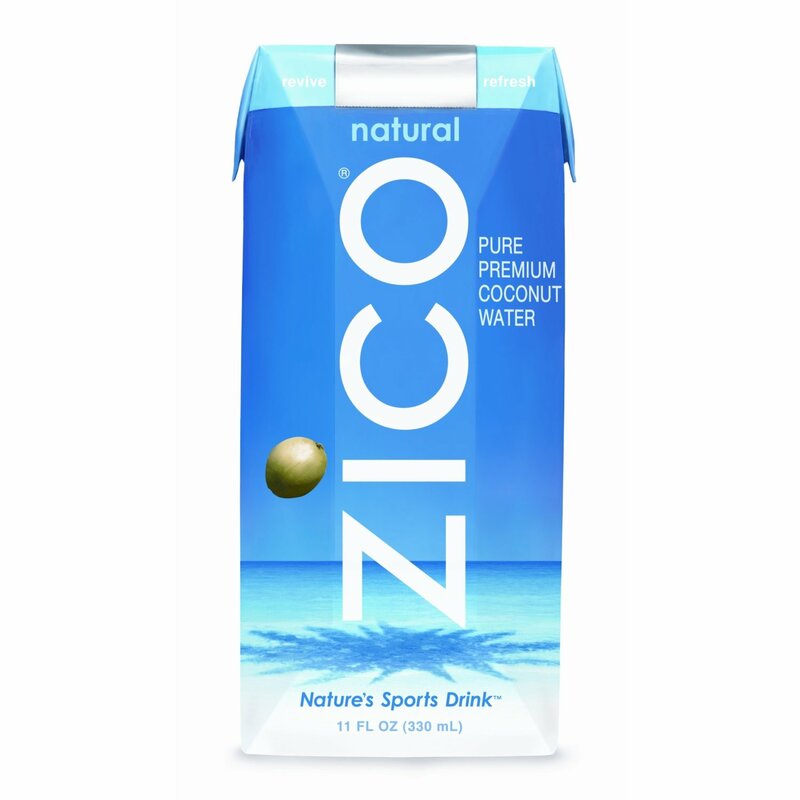 Zico has managed to establish itself as one of the go-to brands for coconut water, and so far I’ve found it to be one of the easiest to find in grocery stores. 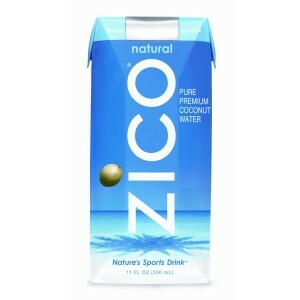 Zico sells flavored coconut waters (pina tropicale, lima citron, pomberry, passion fruit, and mango) but they also sell Zico Natural, which is 100% coconut water. It tastes just as pure and perfect as you’d like. Their product used to be sold in cartons, now they’re selling them in bottles. Either way, delicious. VitaCoco was the first kind of coconut water I really started seeing at stores – it’s perpetually stocked at my favorite healthy vegetarian restaurant/grocery store in Miami, The Honey Tree. (If you’re visiting, GO! And tell Michelle you read about it on this super cool blog called Afrobella written by a woman named Patrice. And tell her I miss her! Get a seitan pie to go!). Where was I? Oh yeah. Every time I’d go to the Honey Tree, Michelle knew the drink to go with my meal – either a pineapple or passion fruit VitaCoco. So delicious, so refreshing – and if you’re new to coconut water, trying it with a light fruit flavor like this isn’t a bad way to go. My only complaint is that the single-serving size cartons are too small. I always want another one! Naked 100% Naked Coconut Water . I recently bought one of these and fell in love. To be honest, Naked 100% Naked Coconut Water was the inspiration behind this post. It’s so refreshing, I drank it and thought to myself, “I must blog about this.” The size of the carton is perfect – comparable to the kind of large coconut I would have wanted from a vendor around the Savannah. Post-workout, this would be a great, electrolyte-restoring thirst quencher. And for cocktails at home, it’s perfect for a pair of scotch and coconut waters. BomDia Coconut Splash, Tropical Mango. I couldn’t find a link for this product ANYWHERE but I found it at my local Jewel supermarket. It’s delicious, but coconut water purists may not approve – it’s also got apple juice, mango puree, lemon and passion fruit juice, and stevia for sweetner. It’s super yummy and would be great for cocktails, though! Amy and Brian’s Coconut Juice — I’m sorry…but what in the deuce is coconut juice? I was honestly perplexed when i saw this at the health food store. Even when I asked a clerk he was just like…”i guess that’s what they’re calling coconut water?” I was already skeptical, but decided to buy and try it for the sake of this review. And my suspicions proved correct. IMO coconut water should never be packaged in a can. I definitely got a metallic flavor from this, and it was my least favorite thus far. Those are the brands I’ve tried, but I know there’ll be more in store. Celebrities and tastemakers are loving the stuff, and big companies like Coke and Pepsi are investing. So here’s hoping that coconut water remains sustainable and profitable for countries that could use that income. Are you a longtime coconut water lover, or a newbie? What are your favorite varieties you’ve seen on store shelves? Bella, this was so awesome. I love Zico the best.. the coconut taste isn’t overpowering. I loved VitaCoco, but I thought it was too sweet. I think VitaCoco definitely has additional sweetener – didn’t want to post that for sure without seeing ingredients though! Coconut water is brain fuel, stokes the fire of creativity. Drink on! Costco carries VitaCoco and as I have it right here in my hand I can tell you it contains only “Coconut water, Vitamin C” — which for 11.1 fl oz. results in Nutrition Label Sugars (15g), Vitamin C (230%). I don’t know why you think it is very sweet though, as I find it to be slightly on the salty side (40mg Sodium). It is produced in the Phillipines (for NY company). I recently tried a 16.2oz can of Taste Nirvana and found it slightly sweeter in taste – coconuts from Thailand. The size was better, and no bad taste from being in a can. Available with or without pulp. I prefer it to VitaCoco but it was more expensive per oz. and without the convenience of Costco. Hi girls, I love coconutwater too. I’m tried different brand in London VitaCoco my best but when I come back to Italy I tried a new brand call OCOCO, favulous test very natural like I remember in Brasil now I just drink ococo. You know it? Well now! I love me some coconut water, jelly, trash (u know when u grate it up and milk it, the left overs)..and I am guessing I should try these out.. I never really drank a commercialized version of my beloved coconut water. But I LOVE me those Naked juices, so if it’s anything as good, I just might give it a shot. I love em all! The Naked juice company generally puts out quality. It was SO refreshing! What do you do with the stuff you call “trash”? We use the coconut milk in callaloo, but didn’t realize you could use the grated coconut after! We use the “jelly trash” as she calls it as the main ingredient in sweetbread in Trinidad. Grated or blended coconut meat from which the coconut milk is obtained- not to be confused with the soft jelly we get from the nuts ’round the savanna. I love fresh coconut water, too! You can get it in Chicago and it’s not that expensive. You can buy it by the case (9 or 12 coconuts, I forget) at Asian markets for $12-$14, which is much more affordable than buying the pasteurized stuff sold in the TetraPacks like Vita Coco and Zico. You do need a strong knife to open them, but it’s worth the arm muscle for TRUE coconut flavors! Oh, and you can also get fresh coconut water from Karyn’s Raw and RAW at the French Market. Yes Bella! Spoken as a true West Indian…”…take a machete to a coconut…”!! I love it! Afrobella I totally agree with you.I live in Barbados and coconut water is a staple,especially for Sunday lunch.It is hilarious how Americans suddenly “discover” things which people from around the world have used for generations. right, Heaven? It amuses me to no end. Apparently now Coke and Pepsi realize that not everyone is that into softdrinks and they need to diversify their offerings…so you know we’ll be seeing it everywhere! I am American and I still think it is funny. I am partially Pacific Islander, so when I started to see the “new” coconut water I laughed. Like most any Islander or Asian cultures, we have used all of the coconut, water to rind, for thousands of years. I remember the doctor telling me that coconut milk, water, and oil was really bad to eat. I’m like, well no natives were fat until we started eating bad Western stuff. Now of course, the doctors sing the praises of the coconut! I still prefer the non-pronounceable Thai or Vietnamese coconut waters from the Asian market, but the Naked Juice one is not so bad. Ps. my mom uses “trash” for soup, candy, and other things like making meatballs stick together and things like that. I like putting it on top of chicken adobo and it also tastes good in oatmeal with coconut milk and agave. That’s the problem in the US, the nutritionists get the same wacky information doctors get. Doctors get very little training in nutrition. We were told that coconut products were bad for you. Those who followed the natural types of eating didn’t think that way but of course they were called uneducated more or less. Now they are making a 360 turn around and I am laughing. I am old enough to remember what they said about it to begin with. I could never get some of my family members to drink it if I tried. Many of them simply don’t like coconut. It is dependent on ethnic background. Those who are from certain parts of the world are used to having such things but you won’t find it rampant in the British Isles except with some who come from other places, etc. So don’t laugh at those who don’t know because they weren’t raised eating or drinking tropical fruits. I am SURE it was amazing!! I wish there was a Golden Krust here, I could go for a patty and a bottle of coconut water now! I’ve had vita and like it a lot. And Zico once. Like I said Once I started taking water aerobics and trying to work out more i realized i couldn’t survive on gatorade and the various sports ‘waters’. All that food coloring bothered me. I remembered from child hood that coconut water had all those properties and switched. I keep a tray of frozen coconut water in the freezer and use that instead of plain ice when making smoothies. Gin & coconut water on the Virgin Islands :). My mom & dad drink it (sans gin) almost daily straight from the nut (there’s always a few piled on the floor in the kitchen). I must admit I’ve never been a huge fan though, so I haven’t tried any packaged brands. I tried VitaCoco I wasn’t a fan. It was good after working out but something about the taste wasn’t quite right. I’m gonna try another brand and see how it works. Trinidad and Tobago’s coconut water is da bombe. To me it tastes better than regular water. 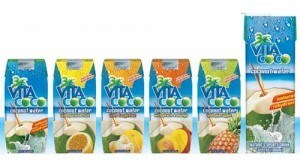 I love vita coco!! That’s my fave after yoga! Thanks for this post! I was just thinking about re-trying coconut water! This post helped a lot. I tried out the Goya brand water (in a can) and it was pretty gross. It tasted metallic and had somewhat questionable chunks of coconut in it. I’ll have to check out some of these brands. This was a great post because it was just what I was looking needed. I love the freshness of Coconut Water. Since it’s been too long since my last visit to any island, I’ll take what I can get but as authentic as possible. Note to self: must try coconut water with rum! I’m from NYC. I’ve been drinking coconut water since I was a kid. It is not new, and all “us Americans” can’t be blamed, just cause some suburbanites finally discovered it. I do like that I can get it more easily these days, now that I live in Walmart-land. I can’t help but smile reading this post. I’m an American engaged to a Trini man and we just had this exact conversation about coconut water. I do Crossfit for my workout and I’ve always been extremely skeptical of sports drinks. So I started drinking coconut water and fell head over heels in love! So naturally, I rush to tell my fiance about this wonderful new drink, lol. He responded with a fierce side-eye and promises to show me the real thing when we go to Trinidad next year. While im not a fan of coconuts, i tried coconut water for the health benefits and liked it….after i drained those nasty coconut pieces out. Do they sell coconut water without the coconut pulp? WHAAT girl blasphemy!! The pulp or ‘jelly’ as we call it where Im from (Jamaica) is the best part!!! **almost falls out of bed..** PLEASE do some research on coconuts and the amazing benefits from the juice and fibers. I feel like people who did not grow up eating such amazing and nutrient-dense food are missing out. Coconut is one of THE best foods out there on the planet–not just the juice now–check out the liferegenerator on youtube. He juices a lot w/coconut water, the REAL deal, not the processed kind from any company. And also look into Lou Corona’s coconut cultures. Amazing natural and tasty stuff. I love coconut water. Just had one straight out of the nut. It is so refreshing! I live by the sea on the west coast of Africa and we have coconuts all through the year. Good post Bella. I agree! It is so perfect for a hot sunny day! If you’re ever in Harlem on a hot day, look for a street vendor. They sell coconut drinks, cut pineapple and mangoes sliced and ready to eat. Im an island girl and sadly never liked coconut water as a child but loved the coconut jelly, now THAT they need to find a way to package. Anyhow I acquired a taste for it as an adult and I drink either Zico or Vitacoco as those are the only 2 I can find at my wholefoods, but will be on the look out for the naked brand from now on, but honestly the real deal just cannot be duplicated, nothing like getting it straight from the source. Too much coconut water will give you the runs so dont go trying to drink it in the same daily amounts you would water. I was just going to recommend going to an Asian market to find coconut water and other coconut products but @Maya beat me to the punch. You can find them here in the Bay(SF/Oakland)area all over the place. Delish! What great timing. Last night my next door neighbor brought me a 12 carton pack of Pure Naked Coconut Water. Someone had given it to her and she didn’t think she would like it. I had never tried Pure Naked before. I had tried Vita Coco and One Water and wasn’t too impressed. Pure Naked is definitely my favorite so far. Of course nothing beats the real thing. Fresh coconut water with big chunks of the jelly. Yummy. Like others, I do have to chuckle over coconut water just being discovered by some, and being touted as the new healthy drink. I drank Naked Juice Coconut Water and it was absolutely horrible. I had the feeling that it had something to do with the one I drank and not the taste of coconut water as a whole. This post gives me hope! Bella, you know that I could not resist responding since you mentioned my love for JWB and coconut water. But let me tell you, coconut water is a great mixer for almost any alcholic dring. Vodka, Gin, rum will all be enhanced with some of that.Try it and let me know. One thing, coconut water has a relatively short shelf life. If it appears cloudy, smell it and most likely you will have to dump it. Coconut water, store bought, usually does not have any jelly and it is usually the young nuts that are used for such purposes. Older, dried coconuts can be used for a variety of things and the ”hard jelly”as we call it can also be eaten. It can be grated and used to make sugar cakes, in sweet breads, toppings for cup cakes etc. And very interestingly, as a boy, I remamber that the husks from the dried nuts were ”beaten” and used to make mattresses for sleeping on. It was an art to see fellas with two sticks beating the fibres from the husks for that purpose. And finally, there was a campaign started some years ago that turned a lot of people away from coconut oil and so on. For us it is the best thing for frying anything, including bakes, eggs donuts etc.Try it and see for yourself. Nuff said. Great Post! I’m a fellow Trini, and this is my absolute favorite thing to drink in the world! I remember being away at college, and the minute I landed in Port Of Spain, a cold nut was the very first thing I always wanted. It’s nature at its best!!! It’s also my number one drink every year during Carnival when I’m playing Mas in the blazing sun, keeps me hydrated and refreshed all day! I’ve tried the substitutes in desperation away from home, but was always disappointed. There’s nothing like a fresh West Indian Coconut! Hey guys I love my coconut in any and every form – whether to eat or for beauty purposes. Health wise its a great remedy for UTI if you can’t consume cranberry juice. I’m Jamaican and here it is so accessible so I consume as much as I can. Quite the thirst quencher but I never care much for the bottled type, prefer it straight from the nut. Of course the oil is amazing for the hair. I might be the only person on here who thinks this, but my husband and I both tried the coconut water and thought it was gross. I tried the Naked brand b/c it was on sale at Whole Foods. After reading everyone’s posts, maybe I will try one of the brands discussed on this post. Hey! I’m new to the site and now that I know we’re Trini-sisters I’ll stay! I grew up in the States, but the tastes of the Caribbean stay in your blood. Lately, all I’ve been drinking is Goya Coconut water. I prefer it to have the coconut chunks in it! SO refreshing! If I’m not drinking straight water, this is my go to beverage! Great article! I’ve had coconut water for many years but became aware of its hydrating and restorative powers about 3 or so years ago. I’m an assistant at a monthly group spa event in New York, Philadelphia and Miami called The Soul Sweat http://thesoulsweat.com. We vigorously use the saunas, steam room, pools and jacuzzi. As an assistant I give a lot of massages and body scrubs to the guests. Add the heat to the mix and I’m literally wiped out before the event is done. Nothing revitalizes me like coconut water. It brings me back to life and I’m ready to continue working. Hey ZICO just hit the UK get in ! I love ZICO ZICO ZICO! I’ve been drinking coconut “water” since I was a child- both fresh and packaged. In Asian grocery stores, almost every brand of coconut water is marketed as coconut juice fyi. It’s the exact same thing. Also, most of the brands come in cans at the Asian grocery stores. A really popular brand in Asian stores is Foco Young Coconut Juice with coconut pulp. It’s delicious and I’ve been drinking it since I can remember! The only thing downside is that it has added sugar. Not going to lie- coconut water marketing for American grocery stores are overpriced and some of them like Nirvana taste fake and smell fake even though they say 100% pure coconut water, or they are so bland to the point that when packaged in bottles, like Zico, they end up tasting like the packaging! SOCOCO……..Made in Brazil,you must to try . SOCOCO……..You can found in New York. 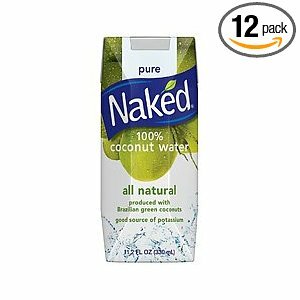 I like Naked coconut water – but having just tried Taste Nirvana during a trip to south beach? Wow, it’s just amazing. I actually purchased all of the coconut waters they had at the SB WF, plopped myself down at a little table in front of the store and had a coconut water tasting. Taste Nirvana was unbelievably smooth and yummy – no metallic, tinny or chemically taste unlike Amy&Brian and C2O and some other one that had Monkey in the title. Came home from SB and ordered a case of the Taste Nirvana plain and pulped. Even the kids love them…and my non-coconut water drinking friends. Loved reading this blog post….your writing is so enjoyable! The tastes and popularity of coconut water is difficult to determine so we’ve actually created a coconut water review website for all the coconut waters we could find in Australia. If you’re interested in finding out the best tasting and beneficial coconut waters (you may even find some of them in the US) visit our website by clicking my name. My concern about bottled coconut water (I wouldn’t drink canned ones, but the same goes for them) is that the processing, including probable pasteurization, would wipe out the stuff in the water that is supposed to be good for you. But, as I said, I’m in Chicago. City life, right? Gotta do the best you can with what you got! So anyway, gonna try to find fresh when I can, but thanks Bella, and all commenters, for your recommendations on the bottled coconut waters. Hello! Thank you for the information given. I am interested in this product so much but unfortunately can’t find expiration period of coconut water(( can you help me with that?? THANKS FOR THE AWESOME ARTICLE! I love coconut anything, especially coconut water. I recently purchased several cans of a brand at a local store that I’ve never had before. Its called Foco Coconut juice which really tastes more like the coconut water, any thoughts or reviews on this brand? It also has the Chuck of coconut in it its 80% juice. Hey you all. Ed Hartz here. I am a reader like you all but also a coconut man. Coconut Ed. Ed Hartz, aka, “Coconut Ed.” Coconut education, coconut educator.. It is great to see the response that Bella gets here on here website. I have been following her since when she just started. Congrats; the website looking great and your work is also very nice. Now, I have an idea; fi you all were to invest in fresh coconut farming then this would be something to talk about. You see real sustainability and fair trade takes place when you keep things real, simple, the way nature and God intended. No commercial coconut water brand can live up to or compare in nutritional value – natural nutritional – bioavailable to the real THING. What is the real thing you ask? The real thing is fresh raw coconuts. tap into them for the coconut water, the jelly, the meat. Now this is fresh wholesome nutrition. And this is also food democracy. This is part of the Slow Food Movement. And things like what Jamie Oliver talks about when he talks Food Revolution. Now, we all know that someone who is from the islands knows about the real deal, fresh coconut. And we all know that a real coconut man is someone who knows coconut. I was not born under the coconut tree as my friend Gussie from Jamaica was, but I am the cosmopolitan-city-country-cowbow-farmer-marketing – professor version of one. I have studied the coconut for about 3,500 hours. why? because I am passionate about coconuts and coconut water and all coconut products. There are more than 1,000 products that humans can use that come from the coconut tree. More useful products come from the coconut tree than any other plant on earth. So we are interested to protect and preserve this wonderful plant. Right? Yes we are……. Let’s get to the point here. We need to drink fresh coconut water that is not processed. The commercial coconut water companies, all of them, at least a handful, have done a great job to use marketing and promotions to sell their products. what bothers me is that they are riding on the benefits of the real fresh raw coconut that have little or nothing to do what they say about their brands. You really think that a processed coconut by any means is as good as a fresh coconut? No way. And science proves this. Do your research…… the truth sets the record straight. And it will set us free. In the meantime what is happening? Big corporations and sometimes government rules and regulations side with corporations that make “fake foods” because payoffs are involved, bribes, and corruption. we all know this today now. No wonder they want to shut off internet on us all. the only reason why American internet is still alive is because too much money is involved. I have one of the world’s largest food and coconut water blogs. Blogs about food rights, sustainability, gastronomy, food democracy, food politics, farming, and coconuts. Coconut water. There are over 9,500 posts! do you think I did this because I am fooling around here about coconut? 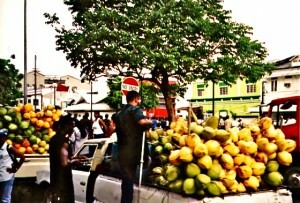 I am also making it possible for others to make a living from coconuts and coconut water the natural way. The fair trade way and with true sustainability. See http://www.NoelaniBeverage.com and http://www.NoelaniCoconut.com. That is if AfroBella does not mind. Thank you. And thank you AfroBella for talking about coconut water. Please contact me. I would love to talk with you. Will adding lemon juice to coconut water have a negative effect on the water ? I stumbled upon this site. Love this the Article. It doesn’t matter where you live.. I would never make fun of a different country for not experiencing what so many people have readily available to them. Each Country an Culture are different. I might be late in experiencing real Coconut Water but I love it. Never to late to learn an experience different things. Zico is my favorite thus far. Sad to say, all the brands you mentioned are EXTREMELY BAD FOR YOUR HEALTH!! ZICO AND NAKED are owned by coca cola and we all know how they feel about GMO labeling. Next all these brands are pasteurized and blast heated so your basically wasting money on artificially flavored coconut water and lastly they’re expensive. We’re better off drinking it right out of the young coconut. 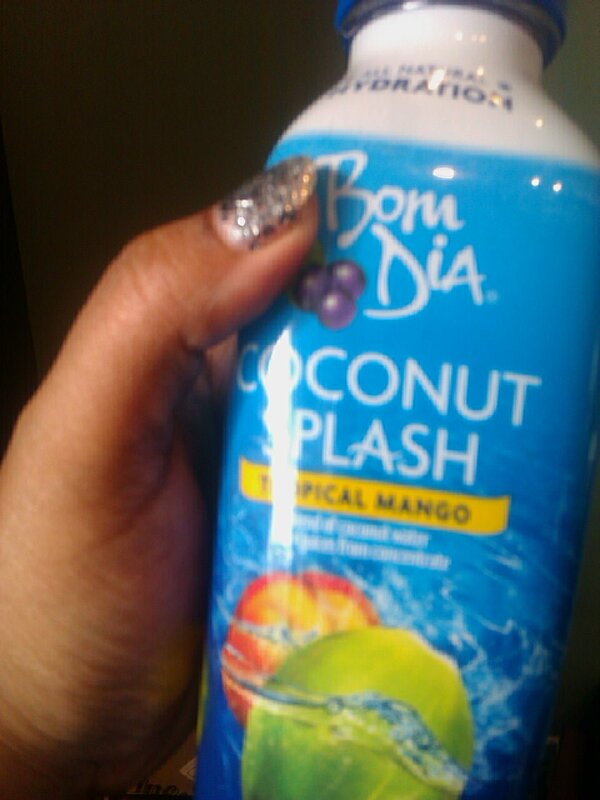 I’ve been buying Mira Azul Coconut Water with coconut pieces from dollar tree. Do you have to chew the pieces? They’re not real big although some are harder than others and some are very soft. Will they digest well if I just swallow them? I have trouble chewing because of my teeth and I don’t want dentures. Any input on this. i have tried Azul Mira, Cocoa Vite, Zico, and Wellesley Farms from BJs. I think I like Coco Vite the best. One thing I do before I drink it is put it in freezer for several hours or overnight. I take it out before leaving for work and let it thaw out over a couple of hours. I like it when parts are still icy. I’m not crazy about flavored coconut water or ones in cans.